CANCUN, Mexico (WPIX) – Violence rocked Mexico's most popular tourist town, leaving 14 dead and five more injured in a 36-hour span, Noticaribe reports. The deaths and injuries were the results of six separate incidents between the morning of April 4 and the evening of April 5. Nine people were killed on April 4 alone. 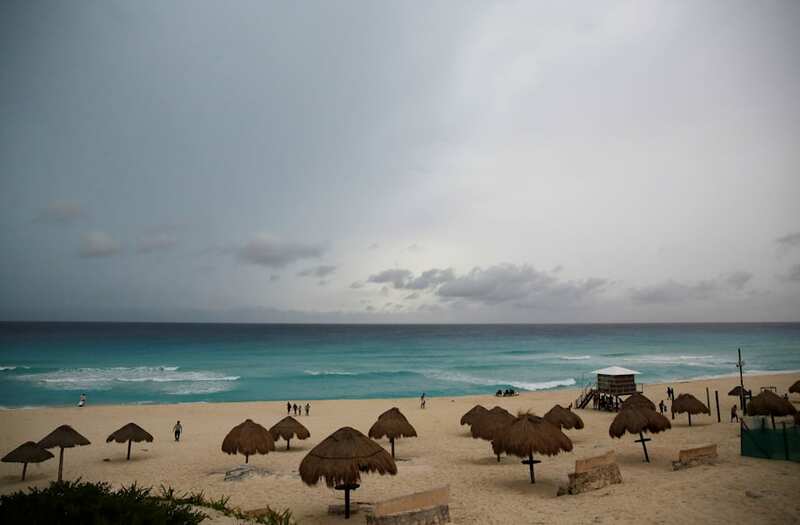 In the past decade, the highest number of people killed in a single day in Cancun was five. The killings are thought to be linked to organized crime. On Tuesday, a judge ordered cartel "Queen Pin" Leticia Rodriguez Lara, known as "Doña Lety" to stand trial on multiple charges including drug trafficking, according to the Associated Press. Long associated with the Mafia, Italy has struggled to shake the influence of groups such as Cosa Nostra in Sicily, 'Ndrangheta of Calabria (who are considered to be among the biggest cocaine smugglers in Europe), and Camorra in Naples. North African gangs have recently extended activities in Italy due to the unprecedented refugee crisis that peaked in 2015. The crisis led to a huge black market in people smuggling to Europe. Italy was a key entry point for many groups. Civil war between Islamist groups in the North of Mali and the government broke out in 2012. A peace deal was signed in 2015 but violence has recently flared up again in the country. The fighting has allowed organised crime to flourish. Charity International Action writes: "Illegal trade in drugs, weapons and goods, and people trafficking across the Sahel, has been a powerful dynamic in the formation of armed groups in northern Mali." The southern African country of Mozambique borders six other countries and also has a coast on the Indian Ocean, making it a hub for illegal trafficking. The US State Department assessed the crime and safety risk of the country as "critical" in its most recent report on the country and said: "All borders, including the eastern coast and airports, are porous and facilitate trafficking drugs, humans, and illicit wildlife products. While lack of opportunity prevents most illegal traffickers from settling in Mozambique, the constant flux of people and goods brings with it nefarious elements and businesses." One of the poorest countries in the world and prone to political instability, the West African country of Guinea-Bissau is a playground for drug traffickers. "Cocaine-related corruption has clearly undermined governance in places like Guinea-Bissau," a 2013 UN report said, which noted that the country's "annual economic output is less than the value of some of the cocaine seizures made in the region." Guinea has a sea border and cocaine is shipped to the country from South America. From there, it is smuggled into Europe. The UN report says that methamphetamines are also smuggled to East Asia via the region. The Guardian noted last year that drug smuggling has declined since its peak in the mid-2000s but the illegal trade in Guinea remains stubborn. Organised crime is closely linked to terrorism and terrorist groups in Pakistan, with an established link between the Taliban and drug trafficking in the country. Reporting from Karachi in 2009, the New York Times wrote: "The police here say the Taliban, working with criminal groups, are using Mafia-style networks to kidnap, rob banks and extort, generating millions of dollars for the militant insurgency in northwestern Pakistan." Most of the heroin produced in Afghanistan, the world's largest producer, is exported through Pakistan, which has a sea border, unlike its neighbour. Yemen is one of the poorest countries in the Arab region and is locked in a civil war that has involved powerful neighbour Saudi Arabia since 2015. This mixture of poverty and instability makes the country ripe for corruption and smuggling. The UN said in 2010 that Yemen's two biggest problems are "illicit trafficking (particularly of drugs) and criminal networks (including terrorism and its financing)." As with Pakistan, the two are thought to be linked. However, the US state department says: "The threat of regional terrorism dramatically overshadows that of organized crime." Peru is the world's second-biggest cocaine producer and, as a result, has a vibrant network of narco gangs and drug traffickers. Illegal logging and the trade in timber is also a problem in the country. However, unlike other countries on the list, levels of violence related to organized crime in Peru are relatively low. Writing in the Global Americans magazine, research professor Evan Ellis said: "Transnational organized crime in the country is remarkably disorganized." Ellis said that the industry is largely controlled by "seemingly nameless "family clans," collaborating and occasionally competing in a complex criminal economy." As with many other countries on the list, terrorism is linked to organized crime in Chad. Islamist group Boko Haram is active in the country and are active smugglers. "The country’s long, porous borders leave it vulnerable to the smuggling of goods and people across the Sahel," according to the US State Department. "Along Chad’s southern and western borders, including Lake Chad, the contraband goods market consists largely of foodstuffs, cigarettes, oil, gold, and other household items smuggled into the country to avoid import duties. "Across Chad’s northern desert and along the Sudan/Chad border in the east, smuggled items include drugs and weapons. Drugs, mainly cannabis and cocaine, are transported via Chad and Sudan to the Arabian Peninsula." Colombia has a long history of organized crime, chronicled in the Netflix series Narcos that traced the history of drug lord Pablo Escobar. Colombia remains the world's number one cocaine producer, despite the death of Escobar in 1993 following year's of operations against him by the US Drug Enforcement Administration. BI's Christopher Woody wrote earlier this year: "Rebels from the left-wing Revolutionary Armed Forces of Colombia (FARC) reportedly encouraged farmers to plant more coca [the key ingredient in cocaine], believing that areas with high production would receive more benefits from the government under the peace accord the government and the rebels signed in November." Christopher “Dudus” Coke, the leader of Kingston's Shower Posse gang, was dubbed "one of the world's most dangerous drug traffickers" by the US before his extradition to America to face drug trafficking charges in 2011. Gang problems persist in Jamaica and it "remains the Caribbean’s largest source of marijuana for the United States as well as a transit point for cocaine trafficked from South America," according to the state department. Guatemala has the tenth highest murder rate in the world, according to the UN, largely due to its gang problem. The country's two main gangs are the Mara Salvatrucha and 18th Street gang. Both established strong footholds in the country after the end of its civil war in 1996 and both make their money through extortion of local businesses and drug trafficking. The International Crisis Group says: "Estimated to number 54,000 in the three Northern Triangle countries – El Salvador, Guatemala and Honduras – the gangs’ archetypal tattooed young men stand out among the region’s greatest sources of public anxiety." Mexico is the main gateway for illegal drugs being smuggled into the United States and this trade has sparked bloody wars between narco gangs in the country. A US congressional report from April states: "The DEA stated that Mexican drug trafficking groups are working to expand their presence, particularly in the heroin markets inside the United States. Over the years, Mexico’s criminal groups have trafficked heroin, methamphetamine, cocaine, marijuana, and increasingly the powerful synthetic opioid fentanyl." Joaquin "El Chapo" Guzman, the boss of the notorious Sinola cartel, Mexico's most powerful narco gang, was extradited to the US in January. Law enforcement organizations hope this will help Mexican authorities tackle problems in the country. A history of poverty has led to the rise of gangs and organised crime in Venezuela. Caracas is the deadliest city in the world, with an estimated 130.35 homicides per 100,000 residents, and much of that is down to gang-related violence. Venezuela has recently been gripped by protests against President Nicolás Maduro and some commentators fear that the instability could give organized crime a further foothold in the country. Oxford academic Annette Idler wrote in the Washington Post earlier this year: "Venezuela’s crumbling political order could have a spillover effect on regional stability and Colombia’s fragile peace — as well as encourage the global expansion of transnational organized criminal and terrorist networks." As with Guatemala, Honduras' position in central America makes it a key corridor for trafficking drugs produced in South America into the United States. This has led to powerful gangs operating in the country. "In Guatemala and Honduras... there is a clear link between contested trafficking areas and the murder rates," the UN wrote in a recent report. "Some of the most violent areas in the world lie along the Honduran coast and on both sides of the Guatemalan/Honduran border." While most of the gang-related activity in Honduras is related to drug trafficking, the UN notes that "the groups involved have long engaged in a range of criminal activities, from extortion to migrant smuggling. Though their role in crime and corruption was less visible before the recent boom in cocaine trafficking, they have long been a drain on the nations of Central America." The central American country of El Salvador has the highest murder rate in the world, according to the UN, down to its deep-rooted gang problem. As with Honduras and Guatemala, a history of poverty and civil war, combined with its location between South and North America, has made El Salvador a hot spot for organized criminal gangs trafficking drugs. However, the New York Times reported last year that gangs such as MS-13 that operate in El Salvador are "not sophisticated global cartels but mafias of the poor." Believed to be a former police officer with ties to El Chapo, Lara's crew allegedly mounted a bloody campaign to take control of drug sales in Cancun and Playa del Carmen. In March, the U.S. Department of State issued a "do not travel" advisory for several Mexican states citing widespread violent crime and gang activity. Travel was not restricted to Cancun, which is in Quintana Roo state, because "homicides appeared to be targeted, criminal organization assassinations," but travelers were warned that bystanders have been injured or killed in the past.